Get up early for the early morning drives. The nocturnal animals will be going to bed and the others will be waking up. You will see a lot more activity. Don’t forget your binoculars. Bring a good pair. Some places have the available, however they may not be in the best condition and it may be annoying having to share. Use insect repellent at night and show as little of skin as possible to deter the mosquitos. During the day they are a lot less active so don’t worry the repellent. Bring a pair of polarized sunglasses to help with the glare of the sun. How do you know if they are actually polarized? Take two polarized lenses and overlap them. Move them around a little until you find the spot where it goes black and you cannot see through both lenses together. If this never happens then one of these lenses is not actually polarized. Hire a guide. You will understand more things you see, and you will most likely see more than if you were on your own. Guides use radios and will talk to each other when they see animals. They know what species you may be looking at. They may be able to spot a leopard up in the tree where you may have missed it. It isn’t uncommon for a safari vehicle to break down because of the dirt roads. Most operators will be prepared, but take a few snacks with you just in case. Patience is the key when it comes to watching lions. They lay around a lot in the day. If you are patient you may see some activity and it will pay off. 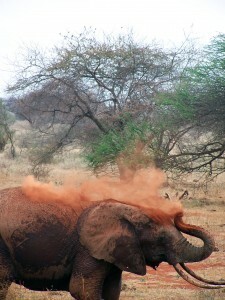 Safaris aren’t just about the Big 5, or 6 or 7. You will enjoy the safari more if you enjoy the scenery, the birds and the little creatures can be just as interesting if you take the time to learn about them. Bights, whites and blacks are the worst color to wear. Go neutral- greens, browns, mushroom, and olive colors to name a few. Try to blend in. Don’t wear bright colors unless you want to scare the animals away. Camouflage in some countries of Africa is for army use only and it is illegal to wear it. Dark blue or dark black can attract tsetse flies in Eastern or Central Africa and they bite. White or light colors will show a lot of dirt. Wear lightweight clothing like cotton. Wear boots not sandals and make sure they are broken in. Gortex Boots if you are with the gorillas. Don’t forget a safari hat, sunscreen, a jacket and a swimsuit depending on where you will be staying. When to go on a Safari? The best time for an Africa Safari is when the animals are easy to find and are dense in numbers; which is usually in the dry season. The dry season can be a great time to spot wild life because they will concentrate around water sources, some of the foliage dries out and the grass is sparse. The rainy season can bring floods, mudslides and downpours. However, some countries’ rainy season only rains for a few hours and can often times are only at night. The rainy season will often lead to cheaper hotel rooms and less crowds. If you are flexible on the country you want to visit, then you can find a great safari for any month in the year. Prices hike up around Christmas and Easter holidays. South Africa, Botswana, Zambia, Zimbabwe and Namibia enter their high season in June. Make sure you bring a jacket for chilly nights. 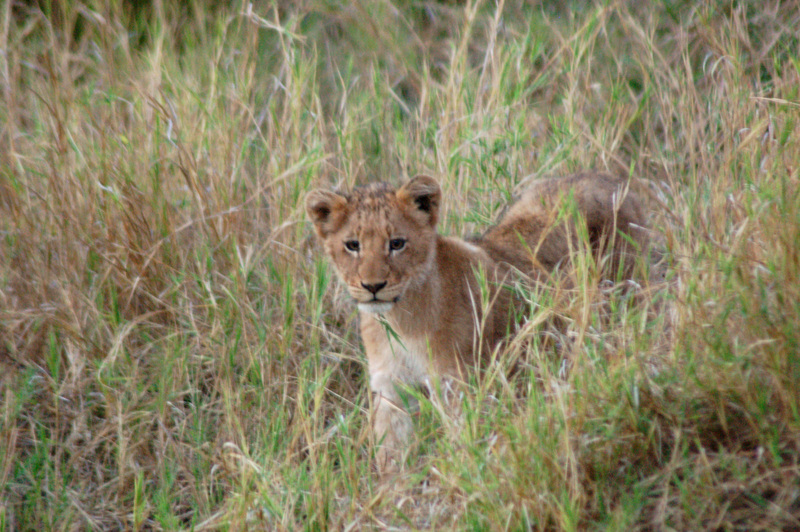 July – September is prime time for any safari destination for wildlife viewings. Because it is popular hotels and safaris book up, so make your reservations further in advance. 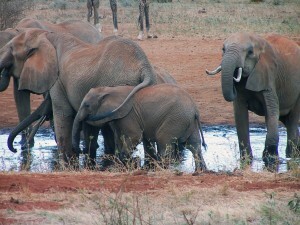 It is also when the prices are the most expensive for hotels and safaris. If you are looking for discounted safaris go in April. You can still enjoy an excellent safari in Tanzania without the crowds, especially in the northern parks. You can also find decent weather in Botswana, Namibia and South Africa. April is the best month to visit Victoria Falls on the border of Zambia and Zimbabwe, however you find the discounted prices you are looking for. Safari by Location, Where to go? Kenya is located in Eastern Africa. The best time visit is in the dry season which is January – March and July through October. 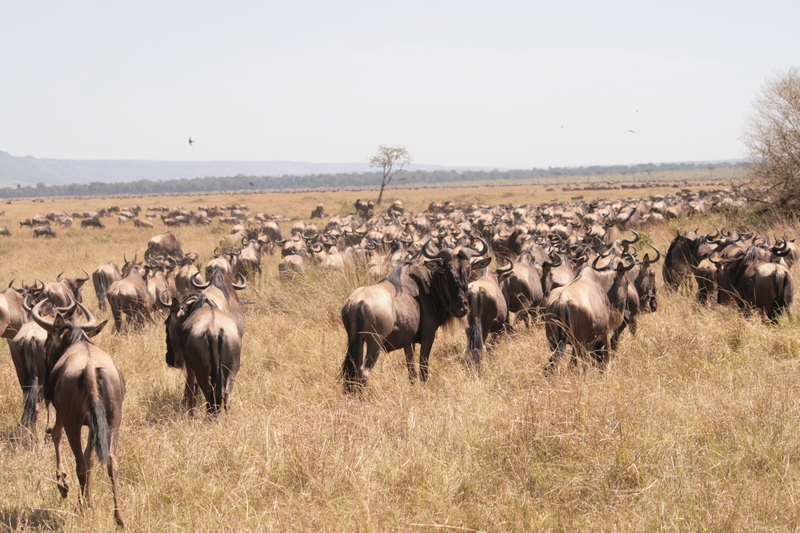 If you want to see the Great Migration the best time is July – October. The Great Migration has an estimated 1.2 – 1.5 million wildebeest (Gnu) including about 200,000 zebras and antelope. 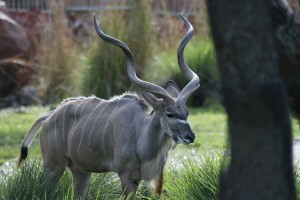 They run in a clockwise circle/Triangle in search for food and water which is determined by the sun, wind and rain. About 3% of the wildebeests won’t make the full journey each year. The wildebeests give birth within a 3 week period every January – March to about 500,000 wildebeests. This is when the food supply is the best on the short grass plains near the Gol Mountains. The Migration is based off the conditions of the grass making the exact direction and timing changing every year. They will typically head North West from Tanzania’s Serengeti Plains and the Grumeti River and head into Kenya’s Mara National Reserve. The Grumeti River has gigantic crocodiles that prey on the wildebeests. Right before the Kenya boarder they must cross the Mara River with more crocodiles. They usually stay in the Mara grasslands until October or November when the gather in herds and return to their breeding grounds. Tanzania is located in Eastern Africa. 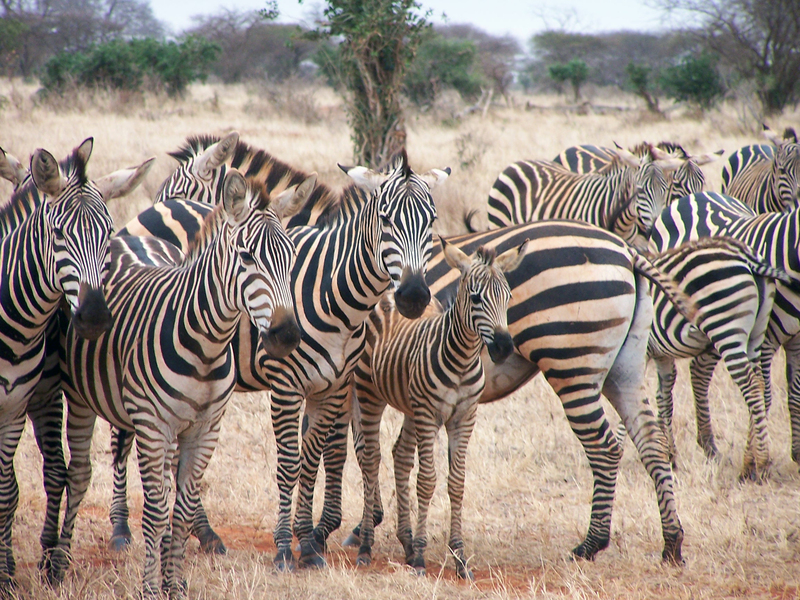 If you want to see the Great Migration, go to Serengeti or Ngorongoro, which are in the Northern parks of Tanzania. Best time is February – March when the Gnu and Zebra give birth. This is also when the predators are on the prowl. Tanzania’s Dry Season is June – November and is also best time to visit all of the parks in Tanzania. If you also wanted to see the Great Migration at this time, head north to Kenya. 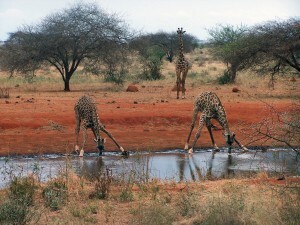 The Southern Parks tend to have more animals concentrated around the permanent water during the dry season. The Rainy season is March – May in the North; and from November – May in the South and West part of Tanzania. Prices will be lower and you won’t see as many tourists, however the heavy rainfall can make the roads muddy and impassible and the animals will be more spread out. The low season can be hot and humid, December – March especially in the West or South parts of Tanzania. If you want to safari in November, Northern Tanzania may be the best place for you unless you are trying to catch the mini migration in Zambia. Mount Kilimanjaro in Tanzania has the best months for hiking in January – March and September – October. Botswana is one of Africa’s most expensive safari destinations because most parks only have access with a small plane. June-September is the dry season but still warm during the day. If you go in April, May or October you may be able to find some better deals since it is the low season. If you love to bird watch, go to Botswana’s Okavango Delta November – March to watch the migrating birds. Uganda is popular for the Mountain Gorillas. Best time to visit is December – February or June – September. If going to see the Gorillas avoid the rainy season of March – April and October – November because the rain makes trekking the gorillas difficult. Zambia is said to have the best walking safaris and is a good place to spot Elephants, impala, zebra and large herds of buffalo in the lower Zambezi Valley. The best time to see the wildlife is the end of the dry season, September – Mid November. April – September you may see a mini version of the Great Migration in the Liuwa Plain National Park, this can be very exciting to witness. Mid November – March is the rainy season and many parks in Zambia are not open. If you want to visit Africa in May this may be the best place for you. Victoria Falls is a world wonder and is the best seen March and April after the rainy season. This borders Zambia and Zimbabwe. Zimbabwe has its peak season July – October. Hwange is the largest game reserve in the country. If you love to white water raft go to Zambezi August – December. The water will be low and the rapids high and fast at this time. The most popular destination in Namibia is Estosha National Park from May – September. If you are into bird watching go in the Summer from December – March when it is hot and humid. 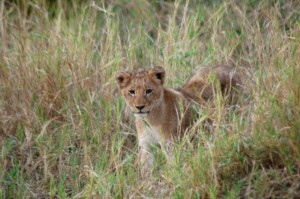 South Africas’s prime safari areas are around Kruger National Park. June – September is the best wild life spotting when the weather is cool and dry. Going in the rainy season is a lot easier in South Africa because when it rains the roads won’t wash away in most areas. South Africa’s Eastern Cape Region experiences less rain during the winter months than in the North. June to November is the best time to watch whales from the cape. You can watch them from land or from a boat. You may see hundreds of southern-right whales; you may also see Humpbacks, Ocras or Bryde’s whales.